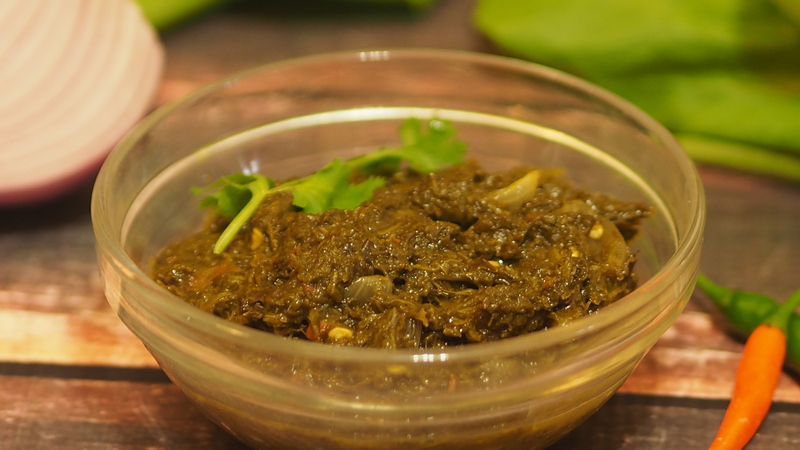 Saag is a recipe with unique blend of greens. Traditionally made in North India in winter when greens are abundant and vegetables are scarce. Many types of greens are steamed. Usually made with Mustard greens, spinach, methi, dill and cilantro. Rarely I find all these greens together here in Florida. Eventually I figured it can be made of many combinations in-case traditional greens are not available. Here I present my version of saag made of Mustard greens, Kale, parsley, mint and Cilantro. 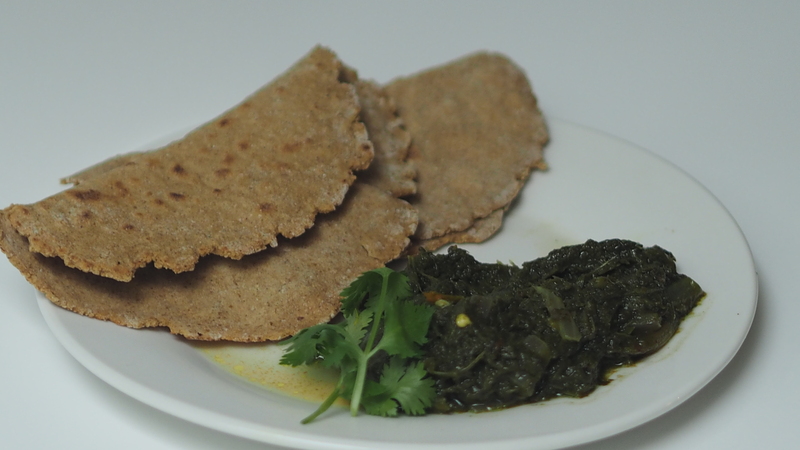 Saag with Mustard Greens, kale. Mustard greens along with other greens are steamed preserving their nutrients. Since it is blend of many greens, imagine the nutrition in the dish. It goes very well with Roti or Naan. Saag with Mustard greens, kale, parsley, mint and cilantro. Place ½ cup of water and all greens in pressure cooker or thick bottom pan. Cook till 2 whistles. If cooking in pan, close the lid and cook for 30 minutes on medium high heat. Once cooked, grind with hand blender. If you don't have hand blender, you can use regular blender. Make sure you don't grind to paste. Couple of pulses are enough. Pour oil in a small pan. When heated, add cumin. When they splutter, add onion and ginger garlic paste. Fry for 2 mins till onions are soft. 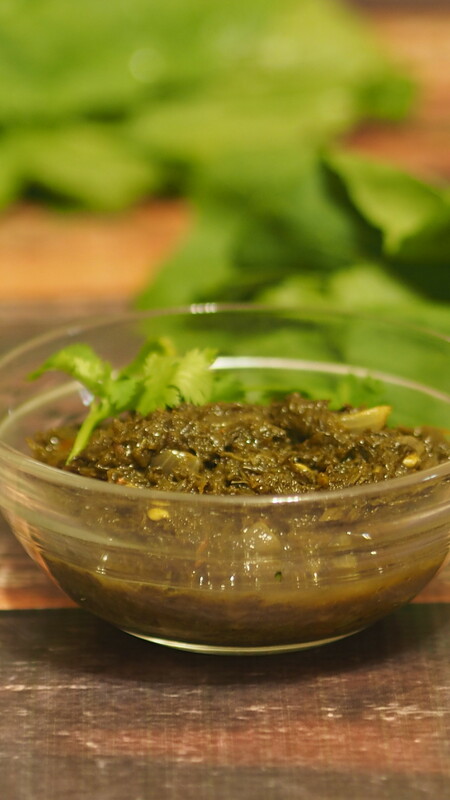 Pour tadka in saag. Mix. I pour hot oil tadka then deglaze with saag.